Fortis Foundation in association with FHM organized a health camp at Village Boh, Ambala, in which 102 people were screened. 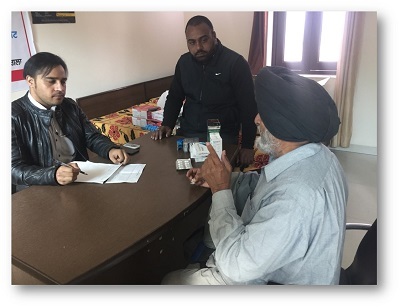 Dr GaganpreetSingh provided consultations during the camp. Fortis Foundation in association with Nirmal Health & Rotary Nahan, conducted a health camp at Bikram Bagh, Nahan. Dr Ajay Bhambri, Consultant, Orthopaedics and Dr Pokhraj screened 181 people during the camp.